| ABOVE | The National Museum Prague | BELOW | view of Wenceslas Square, named after Saint Wenceslas , patron saint of Bohemia is now the main city square. | ABOVE x BELOW | Gorgeous fairly-tale like horses and carriages, and a peek view of the magnificent Church of Our Lady before Tyn, built on 1256 but had many periods of reconstruction thereafter. All situated in Old Town Square which you see below. 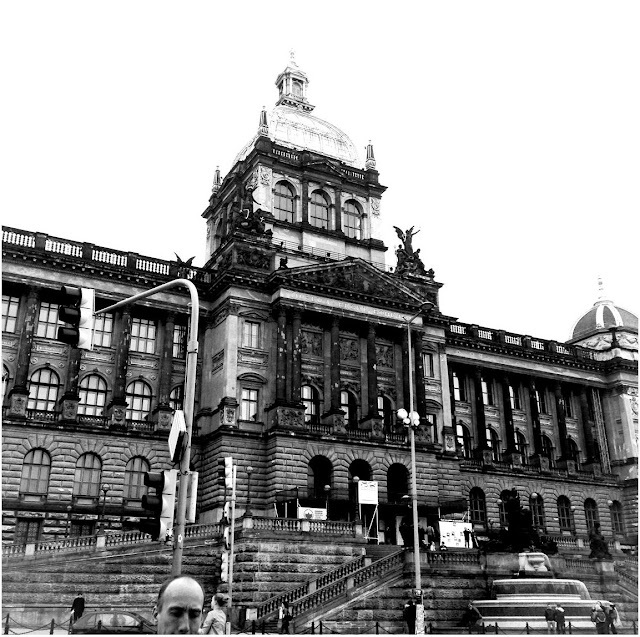 In the beginning of May, my in-laws and us headed east of Germany to Czech Republic, our destination - Prague. It was a mother's day and birthday gift from the husband for my mother-in-law and I, and we were very excited, because as far as I can remember we (particularly my mother-in-law) had been dreaming of going there. 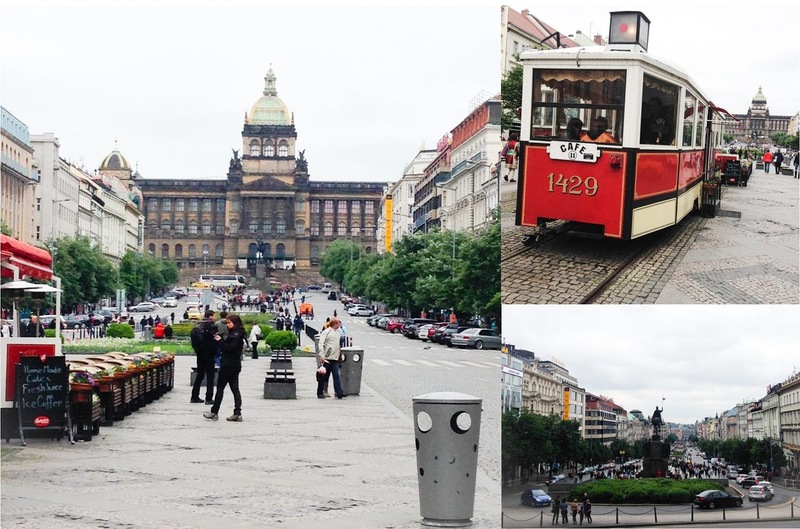 Yesterday you saw the road that led us to Prague, today you get to see this beautiful city in Part I of my Chic Travels. Prague, the fourteenth largest city in the European Union and it is also the capital of Bohemia. Bohemia is a historical country of central Europe and for which occupies the western two-thirds of traditional Czech lands, it was once a Kingdom of the Holy Roman Empire. 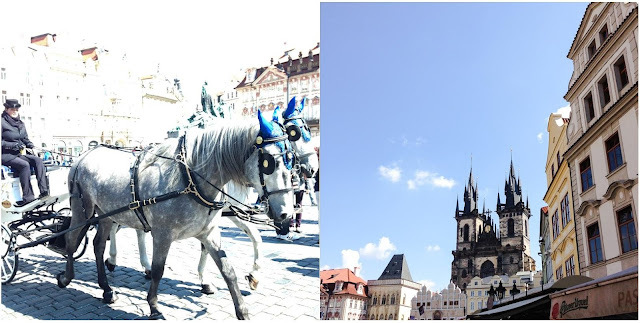 Czech Republic has a rich history, Prague itself has had several different settlements as early as to 200 BC by Celts, and according to legend the city was founded in the 8th century by Czech duchess and prophetess Libuse and her husband Premysl, who founded the Premyslid Dynasty. There most recent historical events was when Czech Republic became a sovereign state, separating from Slovakia on January 1st, 1993. 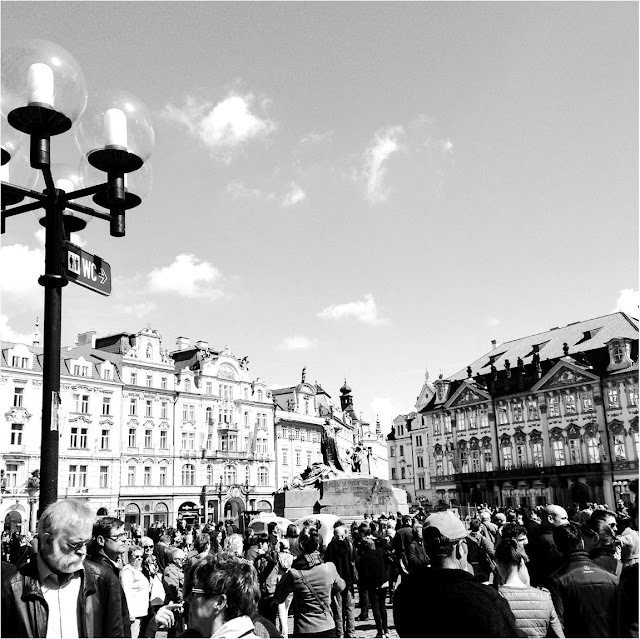 Prague is truly stunning, with excellent cuisine and very friendly citizens. Our experience left us with a desire to have more time in this magical city, although it is a perfect long weekend escape. Also, because they do not use the Euro, it makes for a very budget-friendly place to visit. The most delightful of surprises was their cuisine, it is phenomenal, their most popular dishes consist of meat and potatoes or dumplings. In both of our traditional restaurant experiences we had amazing food, but my favorite of the two was recommended by my friend Sandy of Madly Addictive, who told me I had to go to Novomestsky Pivovar. We got very lucky that our hotel was a few minutes away from the restaurant. 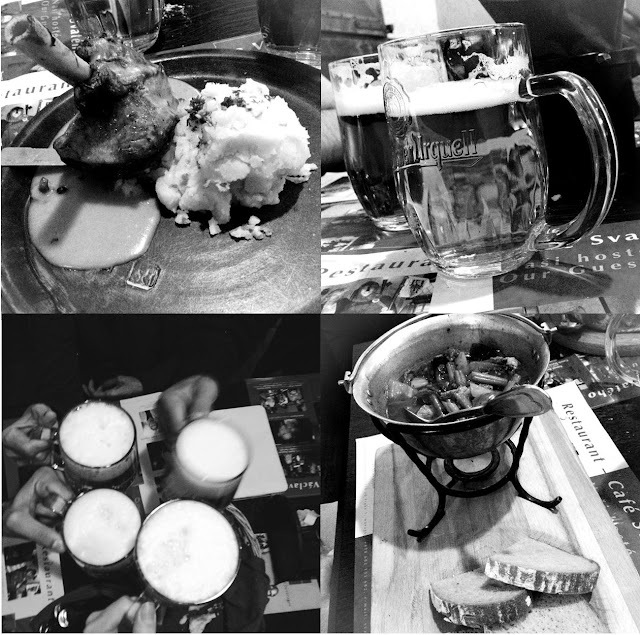 If you are ever in Prague, it is a must to dine there, the service, ambiance and cuisine was excellent. 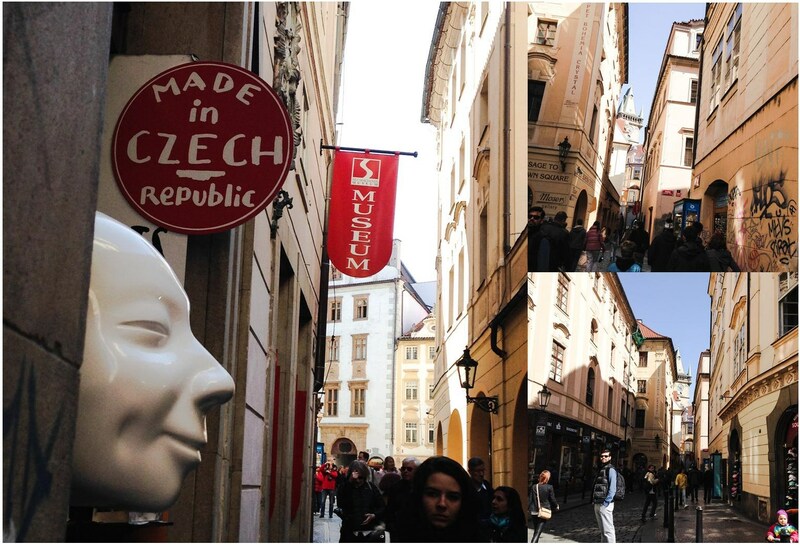 Stay tuned for next week's part II of Prague and an unexpected experience that I sure was happy to have.